At Emirates, it is our goal to provide each and every passenger with unparalleled convenience and comfort. To achieve this level of service, we recognise that not all passengers are alike - many have unique needs that require additional consideration. One way we try to accommodate these travellers is to provide extra baggage allowances for those whose circumstances require it. Generally, the amount of baggage you can check is based on weight or number of bags. If you go over this baggage allowance, you usually have to pay an excess baggage charge. Baggage allowance may vary depending on your route, class of travel and your Emirates Skywards membership tier. To review your complimentary baggage allowance, please check your ticket or visit Manage Your Booking. In certain cases, however, extra baggage may be checked without any additional excess baggage charges. See below for further information. If you are unsure, get in touch with us before making your flight booking. Passengers travelling with their own wheelchair may check a fully collapsible wheelchair. Passengers who require braces or crutches may check these items. Passengers dependent on a portable dialysis machine are entitled to check one machine and all its associated equipment. Vision- and hearing-impaired passengers who rely on assistance dogs may bring these as well, but they must be loaded into the kennels in the aircraft’s hold and are not permitted in the cabin. Passengers with sleep disorders are permitted to carry one sleep apnea device, either CPAP (Continuous Positive Airway Pressure) or PAP (Positive Airway Pressure) as checked baggage subject to IATA Dangerous Goods Regulations. For information on the use of these devices in flight, please see our information on health and special needs. For safety reasons, we can’t accept personal motorised vehicles such as hoverboards, mini-Segways and smart or self-balancing wheels on our flights. We can’t carry them either as checked-in baggage or as hand luggage as they contain large lithium batteries. This regulation still applies even if you’re connecting to our flights from an airline that has accepted them.  Passengers travelling with infants (under two years of age) have different baggage allowances based on your itinerary. The baggage allowance will be shown on the infant’s ticket. If you’d like to carry an approved car seat, please get in touch with us to purchase an additional aircraft seat at the appropriate child fare. See how Emirates makes travelling with infants safer, easier and more comfortable. Emirates will accept sporting equipment as checked baggage and part of your standard baggage allowance. If you intend to take a bicycle as checked luggage, please contact us at least 24 hours in advance. Special packaging rules may apply. Individual items with total dimensions exceeding 300cm (118 inches) cannot be transported as checked baggage, and must be sent as cargo or freight. There are no exceptions to this rule. The total dimensions (length + width + height) of the entire division of sporting equipment must not exceed 300cm (118 inches). Any sporting equipment with total dimensions exceeding 300cm (118 inches) cannot be transported as checked baggage and must be sent as cargo or freight. At any time, should your overall baggage weight or number of bags, including sports equipment, exceed the complimentary free baggage allowance, excess baggage rates will apply. Please visit Purchase additional baggage allowance for more information. SCUBA equipment normally consists of diving suits, flippers, masks, snorkels, buoyancy control devices and so on. If air bottles are also carried, they must be emptied. The firearm must be completely unloaded and, if possible, dismantled and packed inside a suitcase or standard gun case. The carriage of any type of firearms, ammunition and explosives, including items containing explosives, must be approved by Emirates no less than three days before your flight. Please complete the firearms form (only available in English) in the contact us section of our Help Centre to start the approval process. Please allow extra time for public holidays and weekends in your country of residence and the UAE. Ammunition must be securely stored in a strong, sealed box packed inside a suitcase and surrounded by other contents. The suitcase must not bear an ‘Explosive’ label. The maximum gross weight of the ammunition carried by any single customer is 5kg (11lb). Customers travelling in groups must carry ammunition in their own separate bags, with no single bag carrying more than the 5kg (11lb) limit. All fireworks and any other items containing explosives, for example Christmas crackers, firecrackers, bottle rockets, poppers and sparklers are forbidden to be carried either as carry-on baggage or as checked baggage on our flights. Customers who wish to bring firearms and ammunition into the UAE must obtain prior clearance from UAE Customs and the UAE Ministry of Defence. To obtain this clearance, customers must contact these government departments directly. For transfer and transit customers who are connecting to onward flights, prior clearance to travel with firearms and ammunition must be obtained from the Dubai Airport Police Department and the Department of Civil Aviation. Ski equipment can be carried as part of your normal baggage allowance. However, in some situations additional charges may apply when checking in ski equipment – please contact your local Emirates office for more information. Learn more about the rules for ski equipment when travelling to or from destinations in North, Central or South America. Any sails are detachable and collapsible. It is appropriately packed in a hard-shell packing case. If not a Limited Release will be required. Fins should always be removed, or, if they cannot be removed, should be firmly packed with polystyrene foam. Both nose and tail should have bubble-wrap or neoprene foam attached for protection. The rails (sides of the board) should have cardboard down the sides to absorb shock. The board should be packed in a properly padded surf-bag. Should your overall baggage weight or amount exceed the normal free allowance, excess baggage rates will apply. Please contact your local Emirates office for information on excess baggage rates. For information on travelling with other sporting equipment, particularly sporting weaponry, please contact your local Emirates office, as other rules may apply. Note: if your itinerary includes flights operated by other airlines, different baggage rules from the below may apply for these flights. For information on specific allowances for sports equipment, please contact us or the airline in question. Pets are not permitted in the cabin, with the exception of falcons between Dubai and certain destinations in Pakistan. Depending on the individual circumstances, pets must be carried either as cargo, or as checked baggage in the hold. The charge for the animal(s) and container will depend on the weight and size of the animal plus cage combined. These charges will apply in all cases, even when no other checked baggage is being carried. Please contact Emirates well before your flight to confirm any required procedures (such as permits, tests, vaccinations, etc) to allow your pet to travel – you must complete these before Emirates can make final arrangements for your pet. Note that this process can take a long time, especially in complex cases. Once complete, please allow one week to submit your paperwork to Emirates ahead of your flight. Emirates is unable to provide a special free baggage allowance for the carriage of musical instruments. Musical instruments must be handled as normal checked or cabin baggage (subject to cabin baggage limitations) or be transported on a paid-for seat in the passenger cabin. If you check your instrument, it will be subject to normal excess baggage charges if it exceeds your baggage allowance. Please note that certain conditions and limitations may apply when transporting musical instruments. To review these conditions or if you have any questions regarding musical instrument transport, please get in touch with us. When departing from Mauritius, a special charge applies for the transportation of ship models, and can't be included as part of your standard baggage allowance. For the first 10kgkilograms, a charge of EUR 150 applies, and for the next 10kgkilograms a charge of EUR 50 applies. The maximum weight of the ship model is 20kgkilograms.